Everyone really outdid herself tonight at our project challenge! I mean, REALLY!!! The cards and projects were absolutely awesome. The challenge was to use “kisses” somehow… anyhow… whichever way you wanted. We ended up with a cute triangle-shaped box with three chocolate kiss candies; a “goody” bag filled with chocolates; a kiss bookmark (how unique! 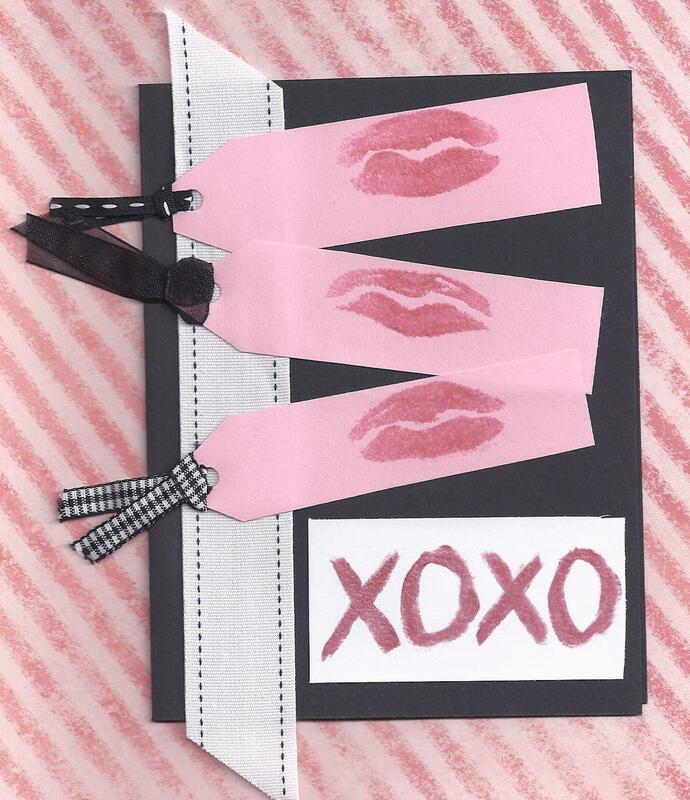 ); three totally different styles of Valentine’s cards; a “slider” card; and a card featuring actual lipstick kisses that were heat-embossed with clear embossing powder (who would have thought THAT would work?!?). Jodie didn’t have a kiss stamp, but she had lips and some lipstick that her mom had quit using. She kissed a sheet of paper, sprinkled on some clear embossing powder, heated it, and it worked! She also used the lipstick to write the X’s and O’s and heat-emossed them too. Talk about thinking outside the box! 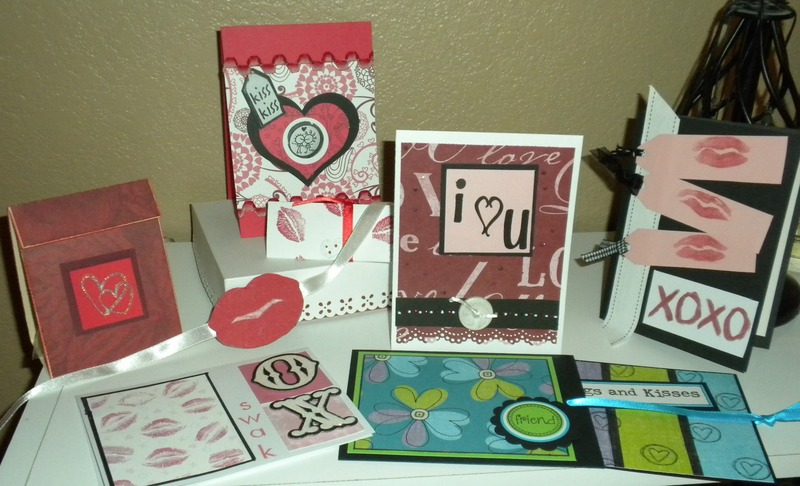 We had a great time learning how to make super-easy slider cards, and used up some scraps left over from last year’s Valentine’s cards. And, of course, we had a great time just laughing and spending an evening together as friends who enjoy stamping and paper-crafting and each others company. Another one of life’s blessings! ← Rain, Rain, Go Away…?